CONFIGURATIONS (KUHN FIG YUH REY SHUHNZ): THE RELATIVE ARRANGEMENT OF COMPARTMENTS OR ELEMENTS OF A FRAMED BOX USED TO DISPLAY TREASURED OBJECTS OR FINDINGS. A shadow box that is completely customizable and configurable to your creative wants and needs. Each configurations has interchangeable and removable inserts so you can design what you want to put where. Its two part base and clear windowed top keep your possessions safe and protected. 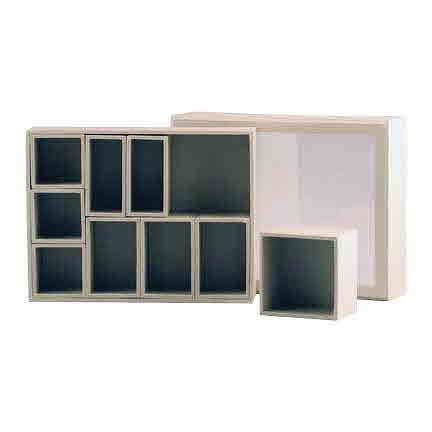 Configurations boxes allow you to use a variety of mediums, such as inks, paints, papers, etc.